You can develop some great skills and earn money, but it’s not exactly an exciting field. … Unless you work for an escape room. Escape rooms invite any group of people — families, co-workers, bachelor parties or friends — to get locked in a room. The goal? Get out of the room by working together and solving puzzles. You usually have about an hour to do it. As a game master, you’ll be responsible for meeting and greeting customers and explaining game rules. You’ll monitor the room via security cameras while they play, and offer hints when they need it. Your job would also include resetting props in the room between groups and some basic cleaning in your down time. Pay varies around the country, but it’s a decent part-time job. We talked to one Penny Hoarder who is a full-time game master in Tampa, Florida, and she earns $10 an hour. She also says the job has no drawbacks compared with other customer service jobs. These can be fun part-time jobs for college students, actors or anyone who loves puzzles and wants to earn a little extra cash. You should have customer service experience and enjoy talking to people, but otherwise the position doesn’t typically require previous related experience or education. If you’re interested, read our full article on what it’s like to be a game master. And check out these 10 escape rooms hiring around the country. This escape room with locations in Seattle and Redmond, Washington is hiring a part-time game master for its Seattle spot. Pay is $12 an hour plus tips for a minimum 20 hours a week. This Honolulu-based escape room is hiring a part-time game master to work weekday and weekend hours. You’d work fewer than 20 hours a week, and the company doesn’t specify pay in its listing. Expedition Escape is hiring a part-time game master. Pay is $9.50 an hour. This L.A.-based escape room is looking for actors and game masters to join its team. Actors in an escape room perform the story in full costume for guests. For example, you might be a zombie for a Halloween-themed game. This company doesn’t list pay, but actors tend to get paid more than game masters. You could earn $25 to $30 per game (about an hour of work) to dress up and play a character. Novus Escape Room is hiring a full-time game master. It doesn’t specify pay. Bend Escape Room is hiring a part-time game master for weekends and weeknights. You’d work 10 to 20 hours a week for $10 an hour. 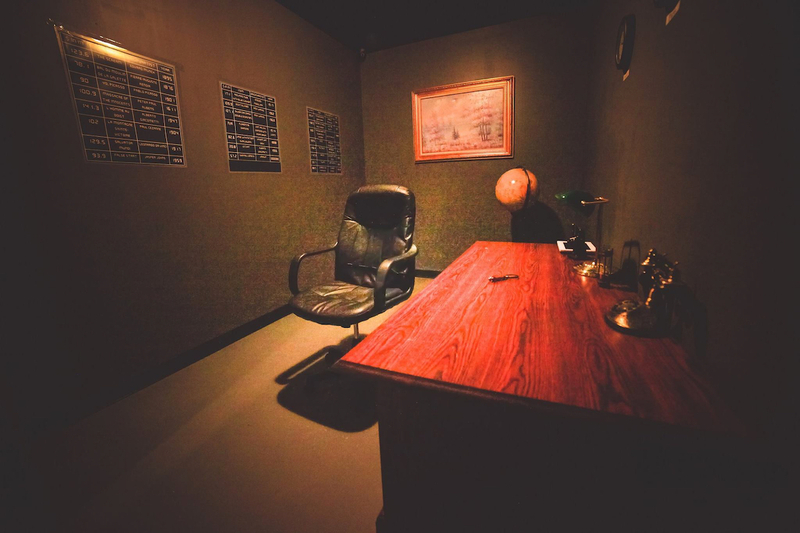 This midwestern escape room is looking for a part-time game host/hostess to work nights and weekends. Pay is $10 an hour. This Long Island escape room is hiring a part-time game master. Pay is $10 an hour. No Escape Room in Illinois is hiring a part-time game master. Pay isn’t specified. Escapology will be opening soon inside Kokomo Joe’s in Saint Peters, Missouri, and its hiring part-time game masters now. Pay is $9 to $10 an hour. You should be at least 18 years old to apply, but it prefers you be at least 21. Your Turn: Have you ever been to an escape room? Would you work one of these part-time jobs?